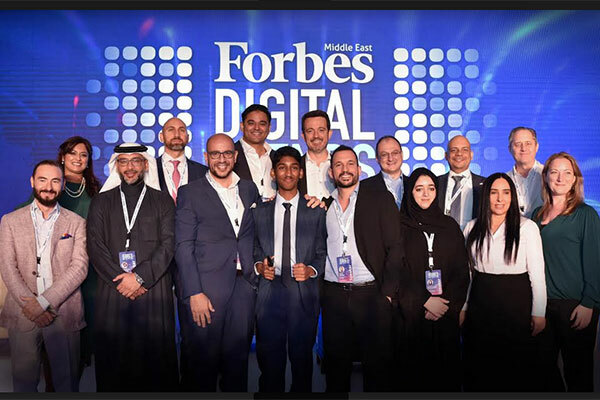 Forbes Middle East, a licensee of Forbes Media, recently organised a forum for C-suite technology leaders to uncover the latest developments in digital trends at the Shangri-La Hotel in Dubai, UAE. “There are so many things that we are doing in the short term to keep up with all the changes that are going on, I guess it is fair to say that Facebook now is fundamentally different than Facebook a year ago,” Kesisoglu said. This insight led seamlessly into the next panel, delving into the use of Artificial Intelligence applications in business processes and the many new business opportunities it can create. Emad Mustafa, Head of Digital Technology Services at Fujitsu ME emphasized how AI can transform businesses by helping bring new products to the customers. The key is to hire the right people to bring it to life. “Taking a bold step and learning more about AI, bringing in data scientists or outsourcing that part to someone who is really aware of how to build certain intelligence, will actually accelerate business transformation,” Mustafa said. Zulfiquar Ghadiyali, CEO at the Royal Office of Sheikh Tahnoon bin Saeed bin Tahnoon Al Nahyan, answered audience questions on the side effects of AI on employment, concluding that the emerging technology is not going to take jobs away from people but instead create more diverse types of employment opportunities in the future.